On Tuesday, January 15, 2019, Prime Minister Binyamin Netanyahu advised Iranians in Syria to get out for their own safety. Mr. Netanyahu explained that failure to leave Syria would result in an intensified Israel Air Force campaign. 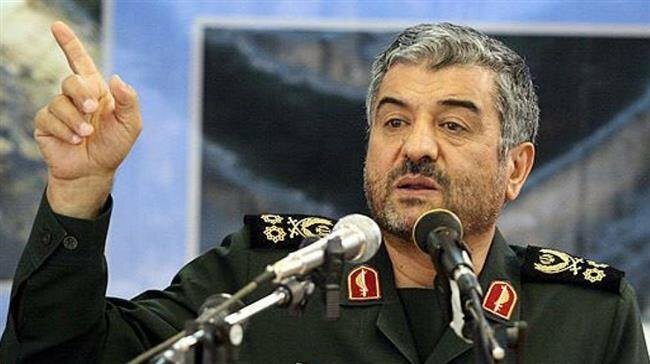 The response is a stern one, delivered by Major-General Mohammad Ali Jafari, who is the chief of Iran’s Revolutionary Guard, telling the state-run ISNA agency that Iranian forces will be remaining in Syria, ignoring Israel’s advice to Tehran. Jafari called PM Netanyahu’s advice “a joke”, adding Israel should be afraid of the day when Iran launches its precision guided missiles. Mr. Netanyahu was responding to reports from an Iranian spokesman that Iranians were not stationed in Syria, suggesting they get out while they can before the IAF gets increasingly serious. Mr. Netanyahu recently confirmed that Israel attacked an Iranian weapons storage facility located in Syria. I’m usually a fan of Netanyahu, but sometimes his desire to be in power overrides his ability to act responsibility. Now before reelections he needs to show the Isrealis’ how tough he is so he’s talking tough…like an idiot. If he would continue to bomb the Iranians in Syria without saying anything, at a certain point the Iranians would get fed up and slink out of Syria. Instead they now need to defend their “honor”, as Arabs are won’t to do, so this will just escelate for nothing. Philosopher; You may be right about Netanyahu but the Iranians are not Arabs, they are Persians. There are no Persians anymore. The Persians have intermarried for over 2 millennia. The descendents of Persians are todays Europeans and Arabs. Do you think that before Iran became an independent country in the 20th century the Persians and Arabs didn’t mix for over 2,000 years? You think they all stayed within the border of the modern state of Iran? The Persian myth is being perpetuated by Iranians who want to feel superior over the rest of the Arabs. Just because the Persian language is spoken in Iran and not Arabic, does not mean the Persians and Arabs didn’t assimilate. The Middle East was comprised of many races that mixed with each other all the time. The same Persian ancestors that a “so-called” Persian from Iran has can an also an Egyptian Arab have as well.